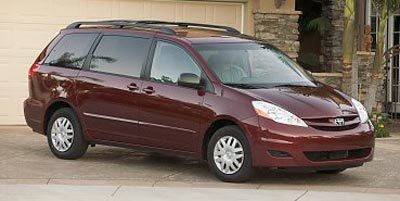 Find the latest 2008 Toyota Sienna recalls as issued by the National Highway Traffic Safety Administration (NHTSA) and Manufacturers. Notes OWNERS MAY ALSO CONTACT THE NATIONAL HIGHWAY TRAFFIC SAFETY ADMINISTRATION'S VEHICLE SAFETY HOTLINE AT 1-888-327-4236 (TTY 1-800-424-9153), OR GO TO HTTP://WWW.SAFERCAR.GOV. Remedy DEALERS WILL REPLACE THE CERTIFICATION LABEL, THE TIRE AND LOADING INFORMATION LABEL, AND THE LOAD CARRYING CAPACITY MODIFICATION (ADDENDUM) LABEL FREE OF CHARGE. DEALERS WILL ALSO CORRECT THE OWNER'S MANUAL. THE SAFETY RECALL IS EXPECTED TO BEGIN DURING MAY 2010. OWNERS MAY CONTACT GULF STATES TOYOTA AT 713-580-3300. Remedy TOYOTA WILL NOTIFY OWNERS INSTRUCTING THEM TO RETURN THEIR VEHICLE TO A TOYOTA OR LEXUS DEALER FOR AN EXCHANGE OF THE CERTIFICATION LABEL AND THE TIRE AND LOADING INFORMATION LABEL, AN INSTALLATION OF THE LOAD CARRYING CAPACITY MODIFICATION LABEL, IF NECESSARY, AND A CORRECTION TO THE OWNER'S MANUAL. THIS REMEDY WILL BE PERFORMED FREE OF CHARGE. THE SAFETY RECALL IS EXPECTED TO BEGIN DURING JULY 2009. OWNERS MAY CONTACT TOYOTA AT 1-888-270-9371. Remedy TOYOTA WILL NOTIFY OWNERS WITH AN INTERIM LETTER INITIALLY INSTRUCTING THEM TO BRING THEIR VEHICLE TO AUTHORIZED DEALERS TO INSPECT FOR CORROSION. A SECOND NOTICE WILL BE SENT WHEN THE PERMANENT REMEDY IS AVAILABLE. FOR MORE INFORMATION, PLEASE SEE TOYOTA'S AMENDED RECALL REPORT OF JULY 12, 2010. THE SAFETY RECALL IS EXPECTED TO BEGIN DURING JULY 2010. OWNERS MAY CONTACT TOYOTA AT 1-800-331-4331. Remedy Toyota will send owners an interim notification to advise owners of the recall and dealers will remove the spare tire and relocate it to the luggage compartment, free of charge. Owners will be mailed a second letter when remedy parts are available and dealers will replace the spare tire carrier assembly with an improved one, free of charge. The manufacturer has not yet provided a notification schedule. Owners may contact Toyota customer service at 1-800-331-4331. NOTE: 2004-2010 Siennas subject to this recall were subject to recall campaign 10V-160 initiated in 2010. Those owners are advised that they must have their vehicles remedied again under this campaign and that having the earlier recall completed did not remedy their vehicles. Additionally, model year 1998-2003 Siennas were recalled as part of safety recall 10V-160. Owners of those vehicles that have not had not the remedy performed on their vehicles, should contact their Toyota dealer to schedule a free repair. Summary GULF STATES TOYOTA IS RECALLING CERTAIN MODEL YEAR 2005-2010 VEHICLES FOR FAILING TO COMPLY WITH THE REQUIREMENTS OF FEDERAL MOTOR VEHICLE SAFETY STANDARD NO. 110, "TIRE SELECTION AND RIMS." THESE VEHICLES WERE SOLD BETWEEN SEPTEMBER 1, 2005 AND JUNE 2, 2008 WITHOUT THE REQUISITE LOAD CARRYING CAPACITY MODIFICATION LABELS. Summary TOYOTA IS RECALLING 1,281 MODEL YEAR 2006 THROUGH 2009 SIENNA, 2004 LAND CRUISER, AND 2009 LEXUS GX PASSENGER VEHICLES. THE VEHICLE CAPACITY WEIGHT ON THE TIRE AND LOADING INFORMATION LABEL AND THE GVWR ON THE CERTIFICATION LABEL IS INSUFFICIENT FOR CERTAIN VEHICLES. SOME VEHICLES WERE ACCESSORIZED THROUGH VEHICLE PROCESSING CENTERS AND HAD ACCESSORIES INSTALLED THAT CAUSED THE VEHICLE TO EXCEED THE GVWR VALUE. THESE VEHICLES FAIL TO COMPLY WITH THE REQUIREMENTS OF FEDERAL MOTOR VEHICLE SAFETY STANDARD NO 110, "TIRE SELECTION AND RIMS," AND 49 CFR PART 567. Summary TOYOTA IS RECALLING CERTAIN MODEL YEAR 1998 THROUGH 2010 SIENNA PASSENGER VEHICLES MANUFACTURED BETWEEN AUGUST 7, 1997 AND JANUARY 4, 2010, CURRENTLY REGISTERED IN OR ORIGINALLY SOLD IN CONNECTICUT, DELAWARE, ILLINOIS, INDIANA, KENTUCKY, MAINE, MARYLAND, MASSACHUSETTS, MICHIGAN, MINNESOTA, NEW HAMPSHIRE, NEW JERSEY, NEW YORK, OHIO, PENNSYLVANIA, RHODE ISLAND, VERMONT, WASHINGTON DISTRICT OF COLUMBIA, WEST VIRGINIA AND WISCONSIN. THE SUBJECT VEHICLES ARE EQUIPPED WITH THE SPARE TIRE STOWED UNDER THE VEHICLE. IF THE VEHICLE IS OPERATED IN THE COLD CLIMATE REGIONS OF THE UNITED STATES WHERE ROAD SALT IS FREQUENTLY USED, WATER SPLASHED BACKWARDS WITH HIGH CONCENTRATIONS OF ROAD SALT CAN REACH THE SPARE TIRE CARRIER AND CORRODE THE SPARE TIRE CARRIER ASSEMBLY CABLE. Summary Toyota Motor Engineering & Manufacturing (Toyota) is recalling certain model year 2004-2011 Sienna vehicles originally sold in, or currently registered in, Connecticut, Delaware, Illinois, Indiana, Kentucky, Maine, Maryland, Massachusetts, Michigan, Minnesota, New Hampshire, New Jersey, New York, Ohio, Pennsylvania, Rhode Island, Vermont, Virginia, West Virginia, Wisconsin and the District of Columbia. The affected vehicles have a spare tire carrier assembly mounted under the vehicle whose attachment cable may corrode due to high concentrations of road salt splashing onto the spare tire carrier.